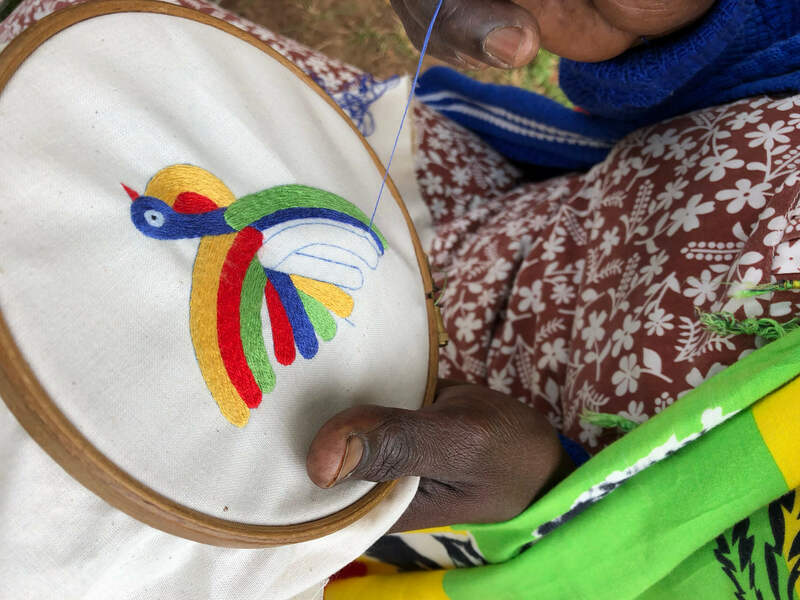 In 2012, two French sisters, Veronique and Pascale, came to the village of Rutongo to visit a group of local women who had, before the 1994 genocide, been taught by Belgian nuns how to do specialty embroidery. After hearing their stories and understanding their history, the sisters felt these women deserved a second chance. They knew that if they could retrain them and open new markets for their skills, the women could be lifted out of their precarious circumstances. Once Veronique and Pascale decided to commit to the women, they named their social enterprise IBABA, which means “wing” in Kinyarwanda. Their logo also embodies the wing and has special meaning for the sisters symbolizing taking flight again after so many years. 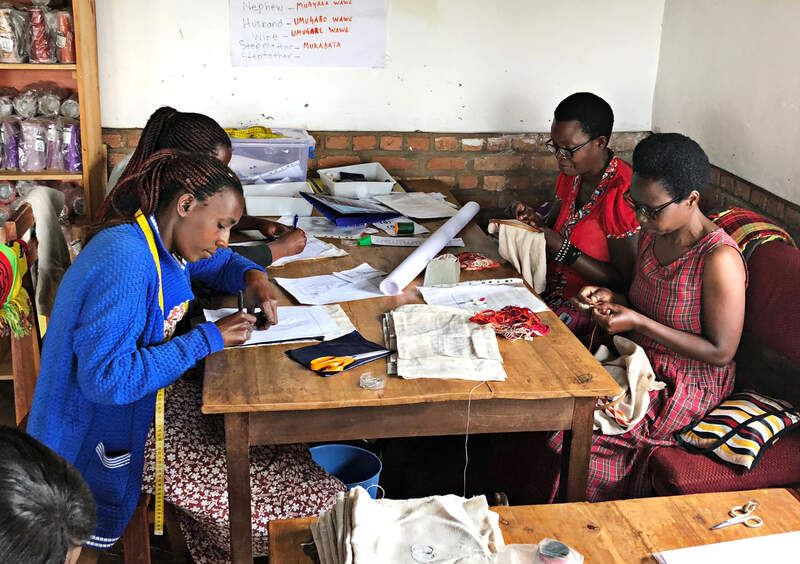 After nearly seven years in Rutongo, IBABA is helping to restore economic autonomy in the village for the 33 women embroiderers who have completed training. Each member is encouraged to take responsibility within their cooperative, named CORUM, and develop a greater sense of being an important part of the Rutongo community. Everything they produce is handmade, from the first embroidery stitch to the last sewing point. Most products are crafted on linens from Belgium. Each article is unique and requires several days of work. 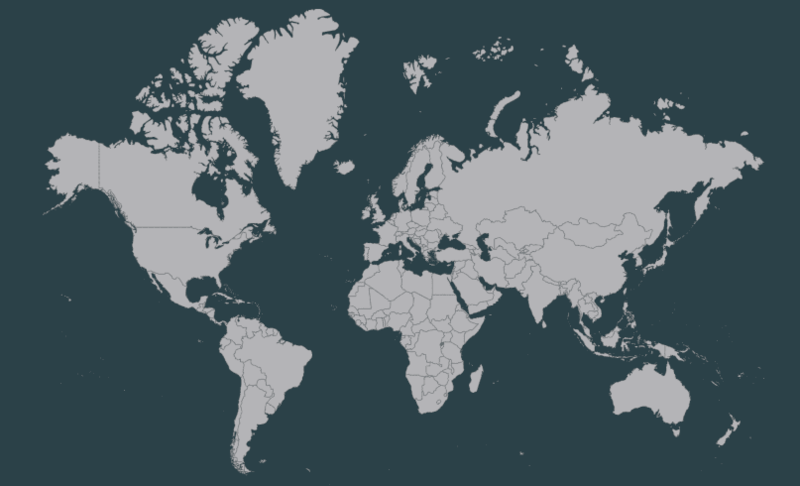 And all are produced with an ethical and fairtrade policy. Working in the cooperative creates economic independence for the members, allowing them to support their families on the wages they earn. In 2019, IBABA hopes to raise funding to complete a small education center that will allow for the training of 70 village women annually. At Peace by Piece, we are excited and proud of our partnership with IBABA. With such extraordinary skills, they can do fun, quirky designs or recreate corporate logos on joyful batik prints.